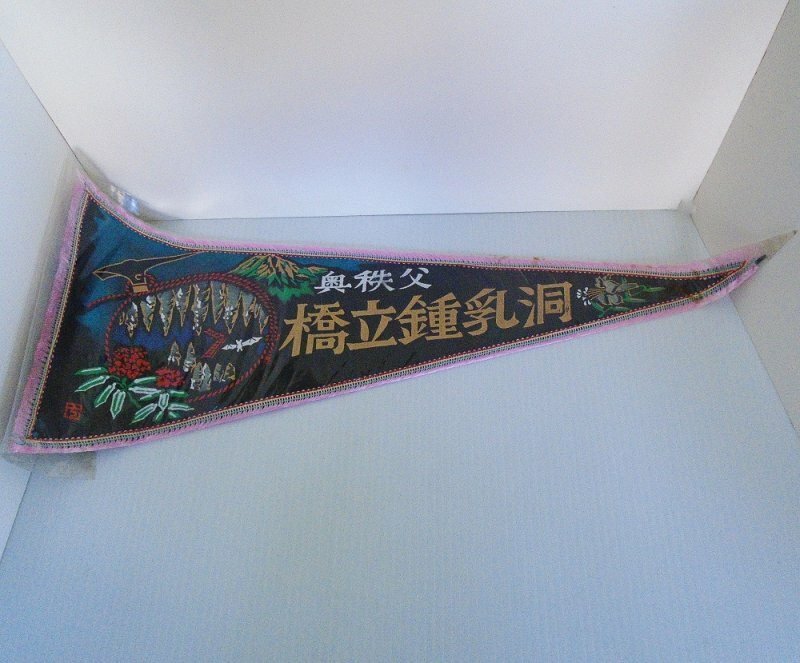 Circa 1950s to 1970s cloth banner pennant flag from Japan. Excellent condition, in protective sleeve for years. This listing is for the banner you see in my photo. There is Japanese writing across it, but I don't read Japanese so can't tell you what it says. It is in a protective wrapper. I have not removed it, but looking through the wrapper the pennant appears to be in very good condition. You may see what looks like a couple of small brown stains about 3 inches from the pointed tip end, but I did not see those until after the photo was taken. I've already cleaned those off.